Why have one color when you can have three? 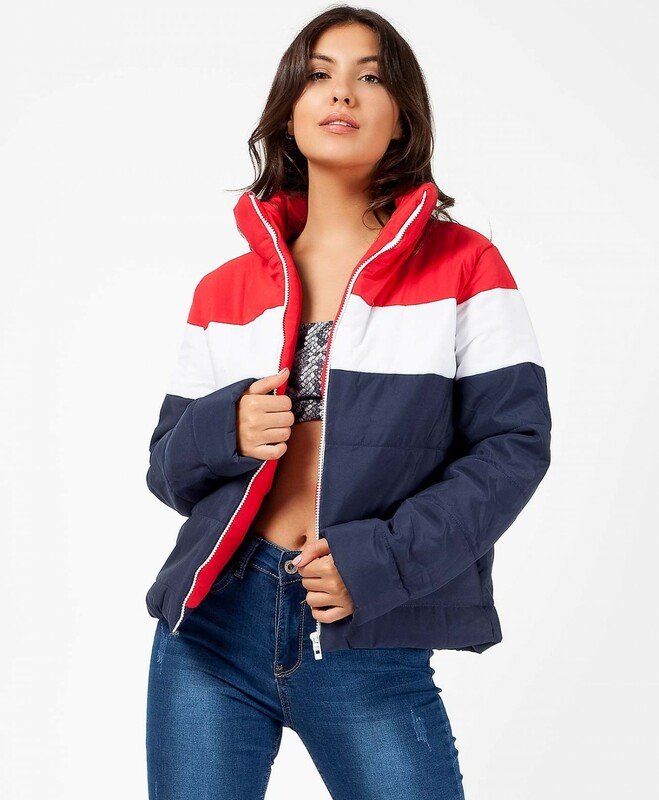 The Padded Colour Block Jacket comes in a red white blue hue and features a colorblock design and cropped fit. Wear with just about anything for a relaxed finish to your look.